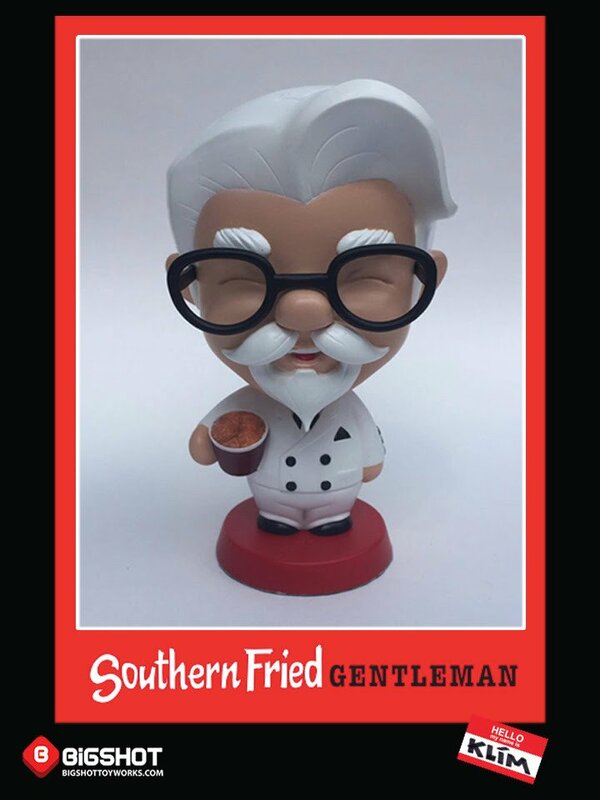 Bigshot Toyworks presents the Southern Fried Gentleman - that old familiar face, with an adorable twist. Who can resist that bucket of tasty goodness? We designed, developed and manufactured our Southern Friend Gentleman figures in a few color variants in extremely limited quantities. This figure is 6.5” tall and is still available in our shop here.